Exciting event in these orphans' lives: their first Bible! January, 2015: Christmas celebrated in the orphanages. Russian version: Christmas celebrated in the orphanages. February, 2015: More Christmas stories from Russia. Russian version: More Christmas stories from Russia. March, 2015: Adoption in Russia and Big Family change. April, 2015: Orphans learn Christian concept of beauty. 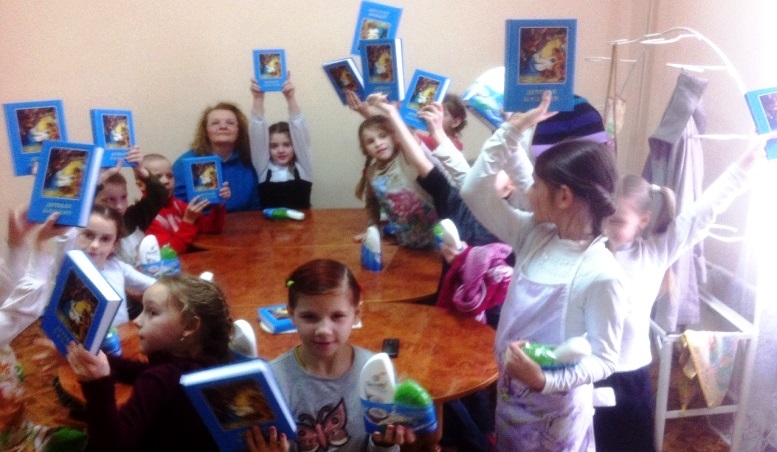 Russian version: Orphans learn Christian concept of beauty. May, 2015: Celebrating Christ's resurrection! Russian version: Celebrating Christ's resurrection! June, 2015: Very special birthday parties in the orphanages! Russian version: Very special birthday parties in the orphanages!